In this article you’ll learn about Neural Networks. What is a neural network? The human brain can be seen as a neural network —an interconnected web of neurons . In Machine Learning, there exist an algorithm known as an Aritifical Neural Network. They mimic biological neural networks. A network always starts with a single unit: the perceptron. 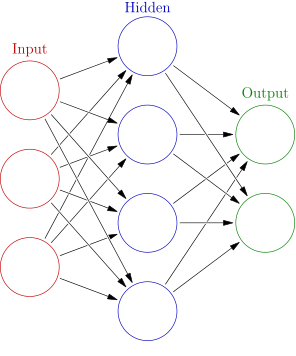 A single perceptron is the basis of a neural network. A perceptron receives inputs. It then multiplies them by some weight. Then they are send into an activation function to produce an output. We also add a bias value, it allows you to shift the activation function. A neural network is created by adding layers of perceptrons together: the multi-layer perceptron (MLP) algorithm.